When we think of bees, we automatically think of honey. Yet honey is not the only substance produced by bees that deserves our attention. Bees also collect pollen from flowers and if you don’t see why this could be of any concern to you, let us tell you a few facts that will change your mind. Bees do not make only honey. They also collect pollen! A bee on a flower with pollen attached to its legs. What exactly is pollen and what do bees with pollen? They produce “beebread”: Pollen mixed up with nectar and enzymes is the ideal food for larvae. They consume pollen to secrete royal jelly and bee wax. If you want to buy pollen, you will find it as small grains in glass jars. Here is a little hint: The more colorful the grains are, the higher has been the flower variety for the bees, and thus, the better. Bees foraging on a large variety of plants can choose based on the hive’s needs which nectar of which flower to collect and take care in the best possible way of the hive. 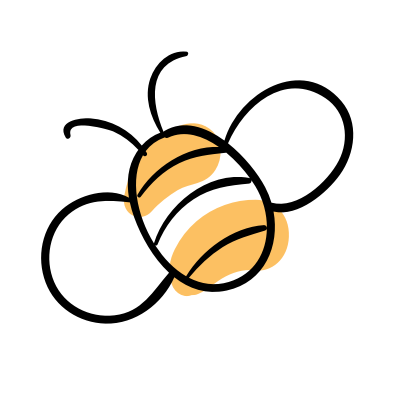 This means: If you see pollen whose grains have all the same color, you can conclude that the bees producing the pollen, didn’t have much flower variety. Caution: It doesn’t necessarily mean that it is pollen of a bad quality, it just means that bees had less variety in foraging sources. Pollen consists to 25% in protein. If you are into sports, you should definitely continue reading! Pollen is a concentrate of highly digestible carbohydrates, sugar and proteins. It also contains phenolic compounds, minerals (calcium, phosphorus, magnesium, sodium, potassium, iron, copper, zinc, manganese…) and vitamins (B1, B2, B6, C, A, E, D). With pollen, you get a full package of the compounds your body may be missing the most from the diet that characterizes your busy city life. Pollen is more than a food supplement, it is a superfood! Pollen is also an excellent source of enzymes. It has the highest anti-oxidant activity, as measured by the ORAC index, of any fruit or vegetable. Only one to two teaspoons of pollen are equivalent to a serving of vegetables. Therefore, supplementing your diet with bee pollen is a great way to significantly improve your nutrient intake. Still have doubts? Does that sound too much of a magical recipe? Well, know that there is some serious science backing up the health benefits of bee pollen! 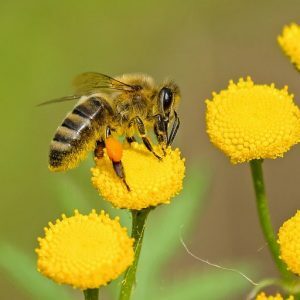 In 2014, this study published in the journal Food and Chemical Toxicology showed that bee pollen also acts as an antioxidant, just like any fermented food such as yogurt, miso, tempeh, natto, cheese or vinegar… They also found that pollen had antimicrobial, antimutagenic and anti-inflammatory properties. These anti-inflammatory properties were also found in study published in Pharmaceutical Biology. And the list of the amazing properties of bee pollen does not end here! There is also science showing that bee pollen boosts your immune system, protects your liver against toxins, relieves stress, and promotes healing. It has been reported to be useful in many other medical conditions including: varicose veins, high cholesterol and triglycerides, fatigue, infertility, impotence, anorexia, obesity, constipation, diarrhea, hypertension, prostatitis, depression, scar formation, and recovery from illness and surgery. 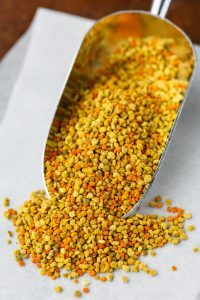 Bee pollen is a superfood that might be part of a healthy diet! Pollen is compatible with other therapies, it can be used long term, has no toxicity even at high doses for those who are not sensitive or allergic, and is safe to take as a supplement during pregnancy. In fact, bee pollen might be part of the diet of anyone willing to stay healthy. Food Chem Toxicol. 2014 Jan;63:233-9. doi: 10.1016/j.fct.2013.11.010. Epub 2013 Nov 19. Biological activities of commercial bee pollens: antimicrobial, antimutagenic, antioxidant and anti-inflammatory. Pascoal A1, Rodrigues S1, Teixeira A2, Feás X3, Estevinho LM4.